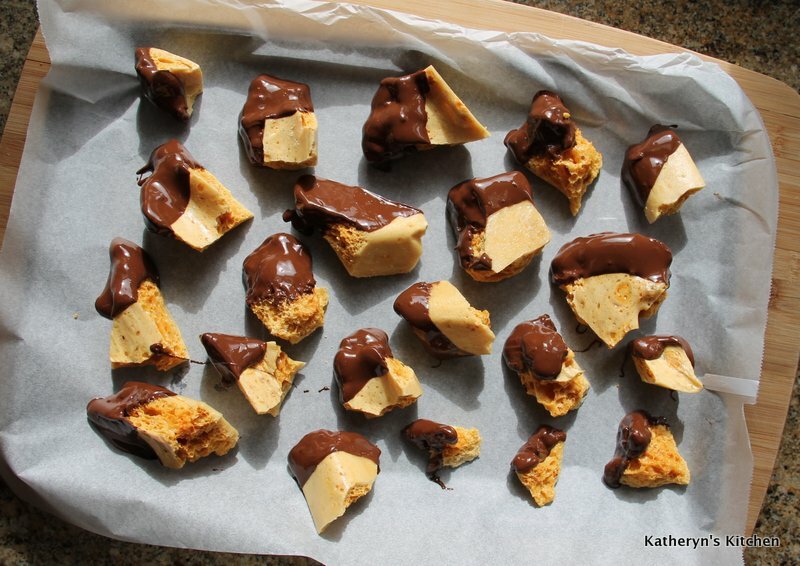 One of my favorite chocolate bars is the Crunchie Bar! I noticed this recipe flying around facebook and just had to make it. 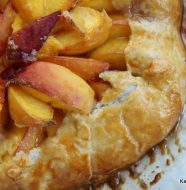 There are very few ingredients, it is relatively easy to make and I think would be fun to make with kids. 1. 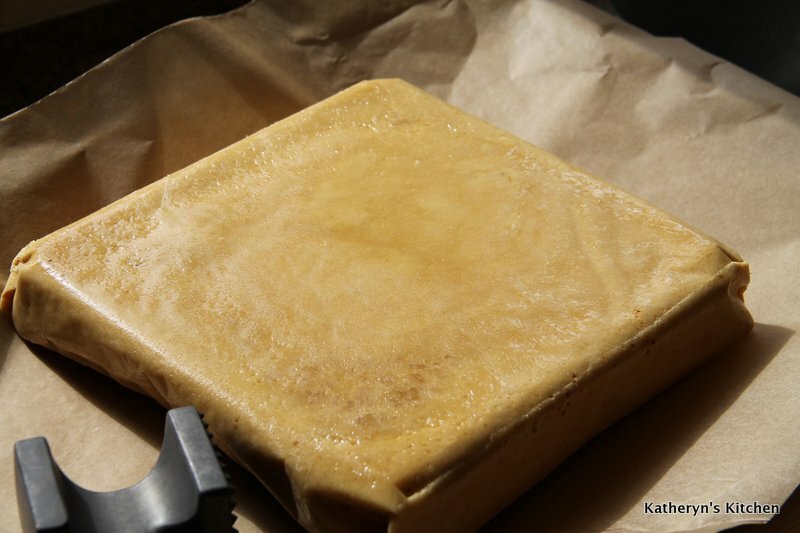 Line a 9 inch baking tray with parchment paper and grease thoroughly, I used Pam spray. 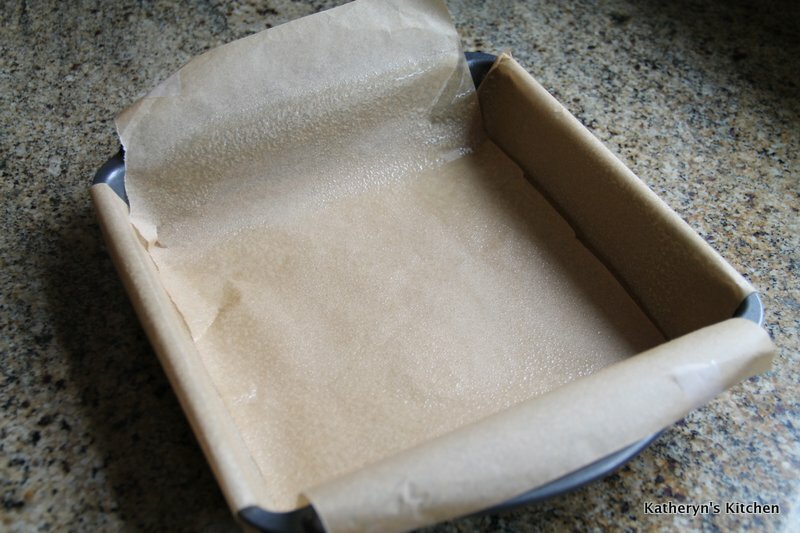 Parchment lined and greased 9 x 9 pan. 2. On the side have ready a whisk and the 1 tablespoon of baking soda. 3. In a large saucepan- (the sugar mixture will triple in size) over medium high heat, mix until just combined, the sugar, corn syrup and water. 4. Now leave to boil, without stirring. 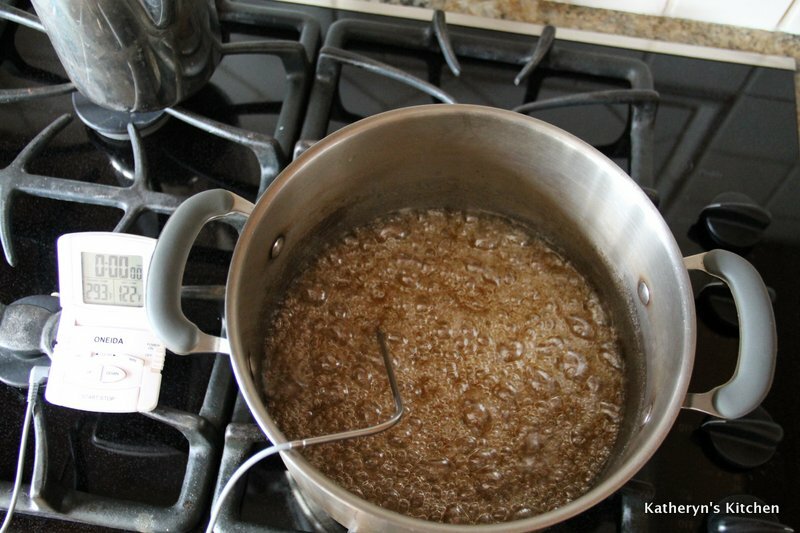 Insert your candy thermometer or digital thermometer and continue to heat, until the mixture reaches 300°F. 5. Remove from heat and working quickly add the baking soda and quickly whisk into the sugar syrup(whisking for no more than 5 seconds or so, to prevent deflating the toffee.) 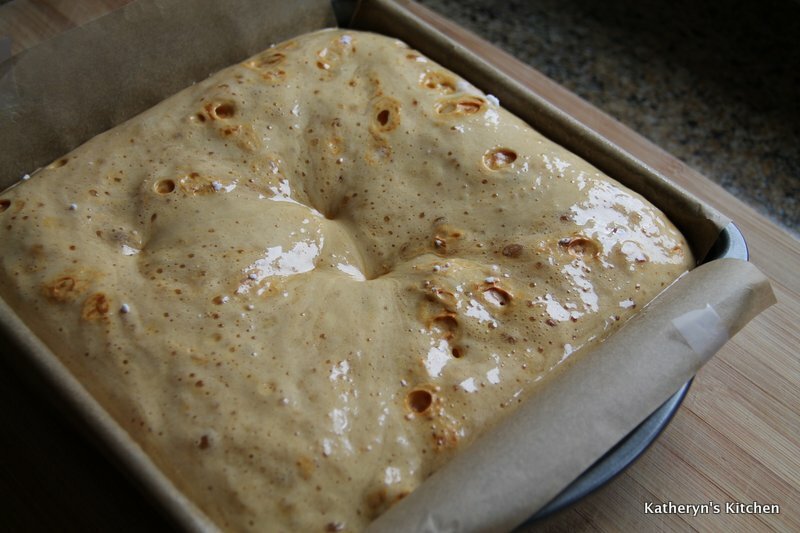 The mixture will begin to expand, quickly pour into the prepared pan and leave to set, do not move for one to two hours. You may notice the odd spot of baking powder that didn’t mix in, don’t worry about it, it will disappear once it is hardened. 6. 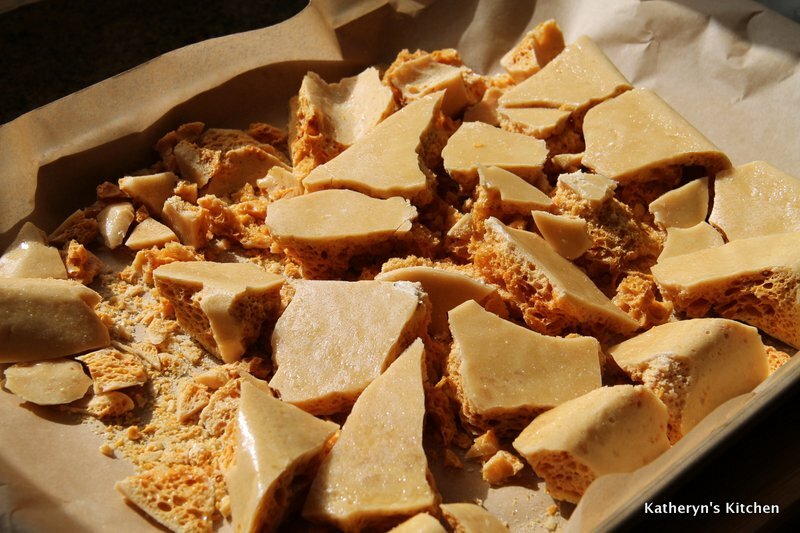 Once the toffee has cooled and set, remove from the pan and using a blunt object ( I used my tenderizing mallet) shatter the toffee into bite size pieces. I placed the toffee on a parchment lined baking sheet to help keep everything in one place, because little pieces will fly around. 7. 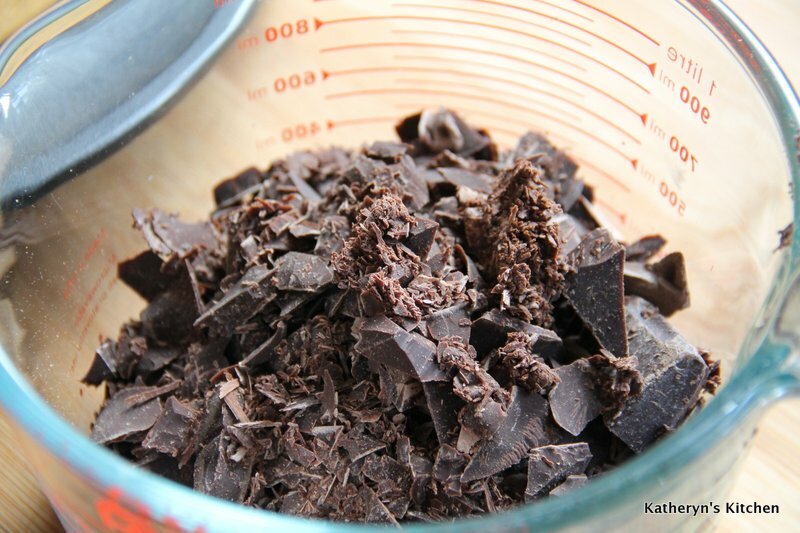 Melt chocolate in a microwave safe bowl for 75-90 seconds. Make sure to stop and stir after every 30 seconds. 8. 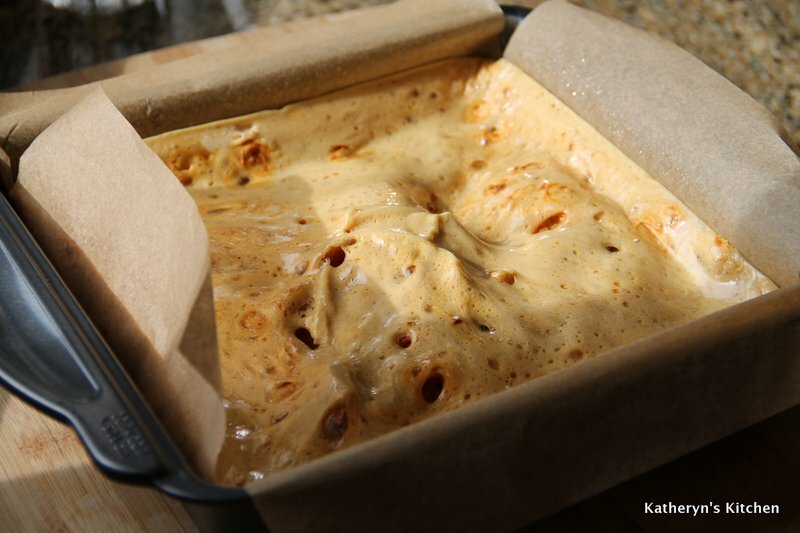 Dip the toffee pieces in chocolate and place on a parchment lined baking tray. Place in refrigerator or in a cool place to harden the chocolate for about 30 minutes. 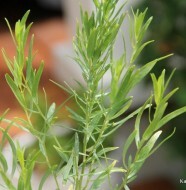 They will store well in a sealed container in a cool place or freeze and take out as you need. 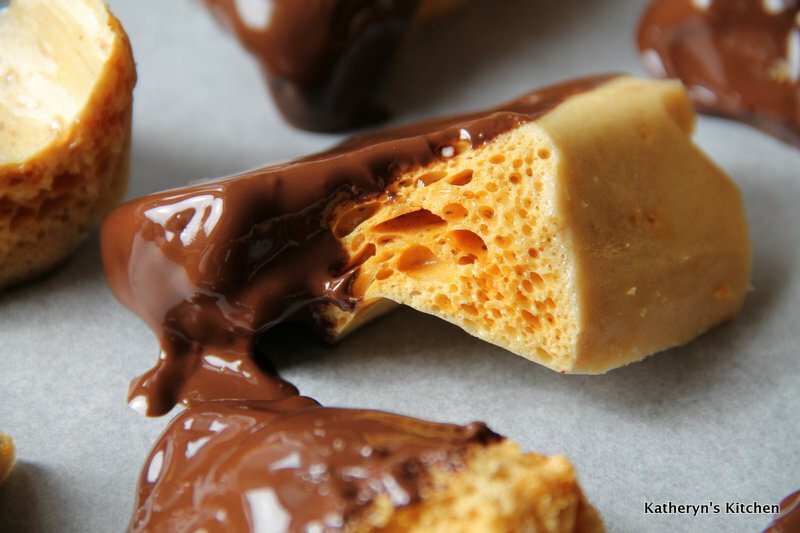 2 Comments on "Chocolate Dipped Honeycomb Toffee"
Oh that does look easy…at least you make it look easy! Thanks Hannah! Yes for some reason I feel like really getting back into it, I missed it. 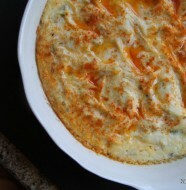 My sister made this recipe with her kids yesterday, they loved it! On another note, I froze them after making and they are holding up well, just pulled a couple out last night for a sweet snack!